FAISALABAD: Remote sensing, monitoring and forecasting are of paramount importance for agricultural land and crops as more than 1,800 Indian postgraduate departments are working on the subject and it is being taught in Australia at primary education level, says a researcher. Speaking at a seminar on �Remote sensing for monitoring agricultural crops and assessing soil salinity� at the University of Agriculture Faisalabad (UAF) on Monday, Principal Scientific Officer of the Commonwealth Scientific and Industrial Research Organisation (CSIRO), Australia Dr Waqar Ahmad Khan said CSIRO was working on the same lines as Nasa in the United States. He said in Australian universities, after theoretical studies, students are given real-time problems of the industry to work on and come up with possible solutions that makes their education relevant to the market and enables them to develop a pool of dynamic researchers. 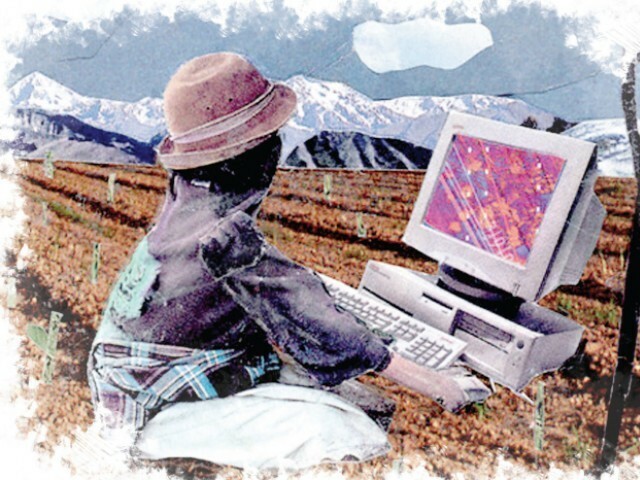 UAF Vice Chancellor Dr Iqrar Ahmad revealed that the university in collaboration with the Food and Agriculture Organisation (FAO) is offering a new programme on remote sensing aimed at equipping the youth with modern skills of forecasting agricultural growth. He was of the view that precision agriculture, remote sensing, monitoring and assessing are the buzz words that sensitise people to the new technology in an effective manner. Saying that UAF is working on five programmes funded by Australian research and aid centres, he stressed that technology helps make decisions more accurate and break stagnation for betterment. Earlier, Officer In charge of Saline Agricultural Research Centre Dr Javaid Akhtar said the issue of soil salinity is not less important than climate change, but due to incomplete information on the extent, rate and degree of salinity in most developing countries, it has not been addressed effectively.